I’ve have been quite busy last month and missed out on the First Budget Meal hosted by Ellena of Cuisine Paradise. This event is to urge those who loves to prepare simple homecooked meal in order to accumulated more cooking ideas as well as sharing with each other on how to purchase ingredients with a minimum sum of budget given. Anyone in the world can join in this event, please hop over to Ellena’s blog and check on the details if you are interested to join the May $20 Budget Meal. Here is my submission for Easter April $20 Budget Meal using Egg as one of the main ingredient. Heat up 1 tbsp oil and add chopped onion and chopped garlic saute until fragrant. Add in seasoned minced pork and stir fry until cooked, dish up. Heat up some oil in a flat frying pan, add two scoops of beaten eggs and pan fry at low heat until half cooked. Add some minced pork on top and fold up omelette. Fry at low heat until both sides are golden brown. Dish up. Use the same method to finish the remaining portion (I made four but you can make smaller portion). Clean and wash fish, pat dry with kitchen paper and put fish on steaming plate. Mix the seasoning in a small bowl, stir well and pour on to fish. Sprinkle chilli and spring onion on top and steam at high heat for about 8-10 mins. Wash anchovies and put it together with sliced ginger in a small muslin bag. Bring a pot of 1.5 litre water together with the anchovies to boil and simmer at low heat for 30 mins. Wash spinach (I only keep the leaves) and set aside. When you’re about to serve your meal, remove the bag of anchovies, bring stock to boil again, add garlic, fish ball and spinach. Wait until fish ball floats to the surface, then add salt to taste (about 1/2 tsp) and off heat. 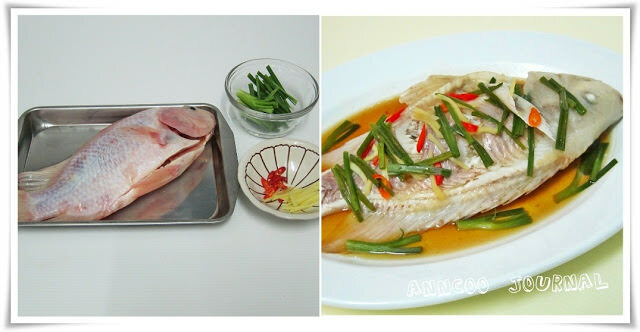 You can cook all these dishes almost at the same time (only prepare the stock first), put the fish in the steamer when you’re about to finish making the omelette. Then heat up the stock and add fish balls and spinach. Economical and delicious dishes for a steal! KUDOS to you Ann. Oh great!!! Thanks for the shout out and this wonderful quick and easy meal idea. 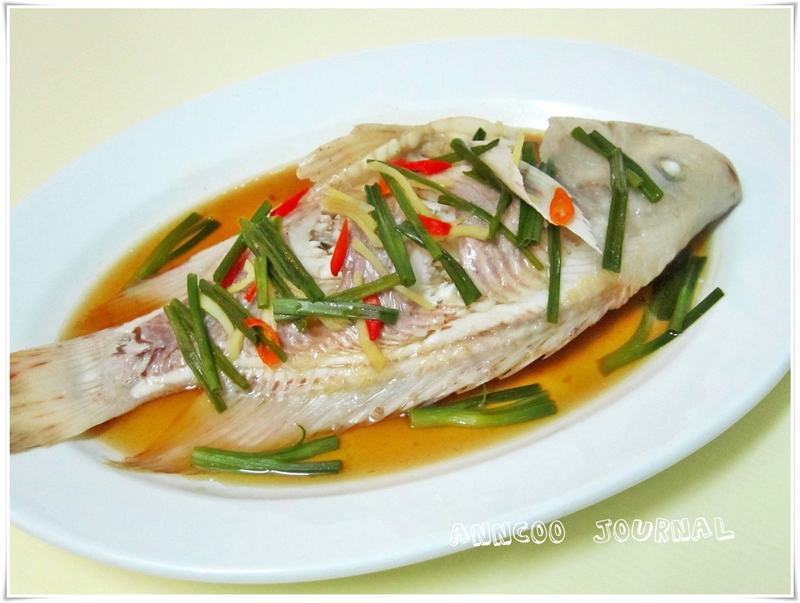 I love the "Steamed Tilapia"…. indeed all your dish is very healthy 🙂 Thanks for supporting this budget meal event. Yuummm. i would love to have dinner at your house! I love each and every one of these dishes. Those fish balls are ridiculously tempting. you really showcase how economical it is to cook at home – there's even a fresh large fish. I wish I can have such a sumptuous dinner everyday! You're welcome Ellena. I almost missed this posting again because my internet line is very very slow since last week. Still not stable…the line always up and down…very difficult to go blog visiting. So frustrating! one can still sit dow and enjoy this kind of homely and heart meals very much. nice selection! Everything looks so delicious! I'm really impressed how you could prepare such a good meal with on 20$! Good for you! Interesting… I want to join this as well! Asian cuisine is so simple, we don't even to put much to make a great dish. I'm drooling over the minced pork omelette!! The mince pork omelet looks like a must try. Even though the dishes are simple, they are really tasty. You certainly whipped up a banquet on such a budget $. 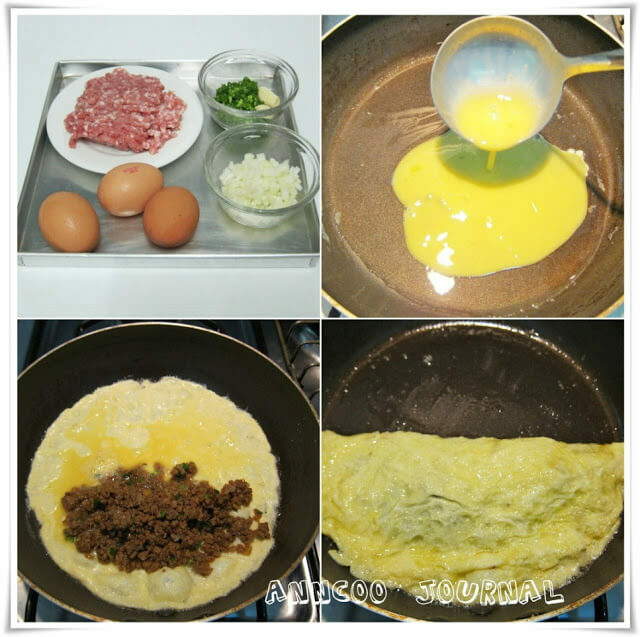 Hmm…I love easy to make dishes and the minced pork omelet looks great! I need to try it! 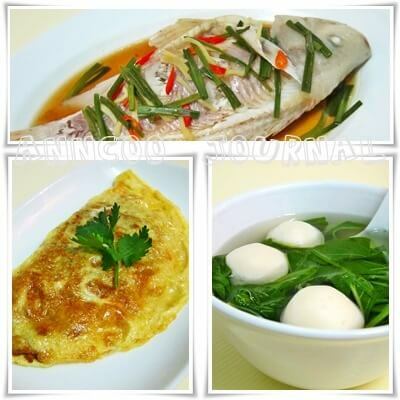 Wonderful dishes! 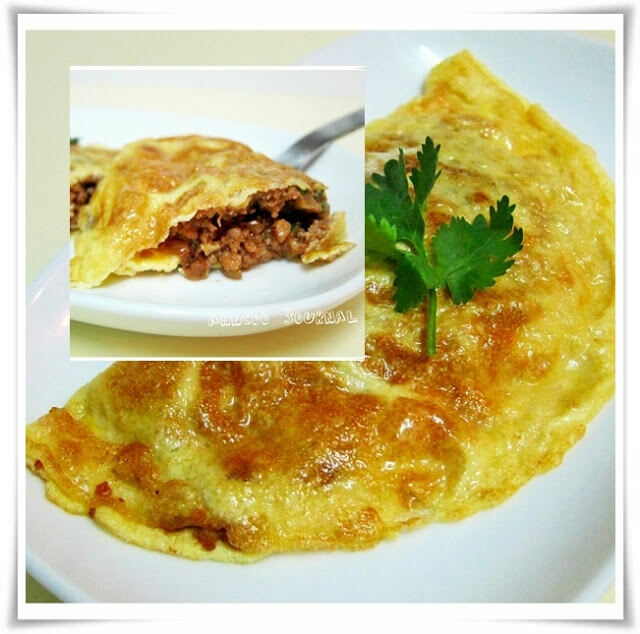 Love the idea of minced pork omelet, so yummy! Kris, I always prefer to buy the fresh handmade fish balls only when I don't have the time to go to wet market then I'll get it at the supermarket. You can't get fishballs at Bangkok? They are all making me hungry. Great budget meals!! What a terrific meal for just $20! Definitely a healthy and delicious meal here, Ann. I love steaming fish the way you have done it here. It really brings out the freshness of the fish. Everything looks wonderful. All look very delicious, esp. 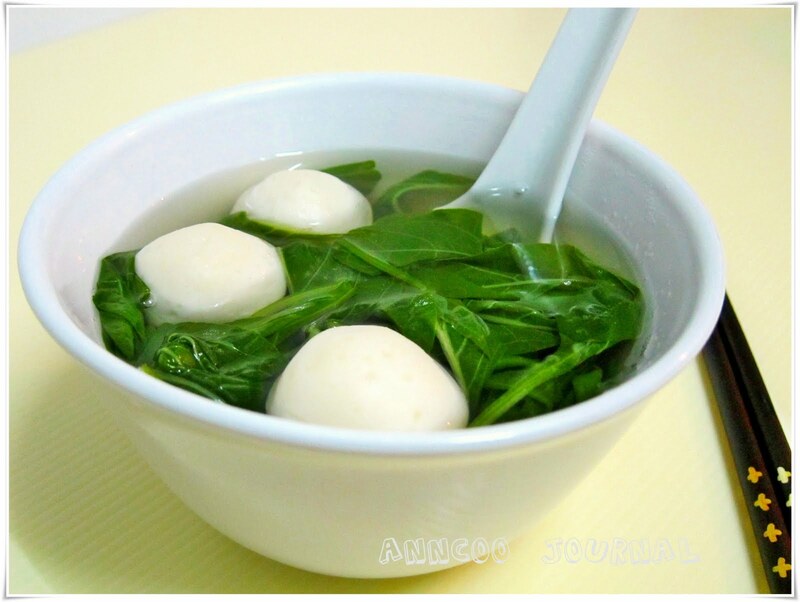 the fish ball spinach soup!